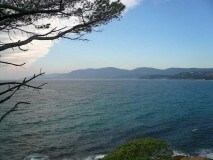 The trail from Gigaro to “Cap Lardier” south-west of St. Tropez goes along the coast within a nature reserve. The trail gives an impression of the former state of the coast outside the towns. Various bathing bays are on the way. Because of the danger of forest fire, it is prohibited to smoke on the way. Directions on Michelin map 84. The appropriate hiking map is Nb. 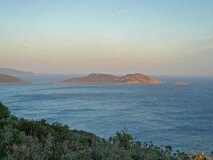 3545 ouest (St.Tropez Ste.Maxime) from the Institut Geographique National.